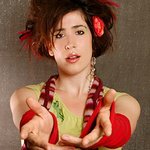 Join Imogen Heap, Sir Richard Branson and friends online, in a very spontaneous ‘get together’ with live music and open discussion, as they raise funds to benefit the victims of the recent devastating floods in Pakistan. Hosted by Ze Frank, the online event will feature intimate musical performances by Imogen Heap, Ben Folds, Amanda Palmer, Kate Havnevik, KT Tunstall, Josh Groban, Kaki King, Zoe Keating and Mark Isham. There will also be revealing conversations with Sir Richard Branson, Mary Robinson, Cameron Sinclair, Mark Pearson (live from Karachi), Gary Slutkin and Anders Wilhemlson. May well be more as the word spreads! “We wanted to do something engaging and collaborative involving musicians, speakers and you, the audience, to participate in raising money for the Pakistani floods,” wrote Imogen Heap. "As you know Monsoon rains have caused extensive flooding throughout Pakistan. “Around one fifth of the country was hit, causing over 14 million people to have been affected, 900,000 homes have been damaged or destroyed and the death toll is rising. “The future of Pakistan and its region are at risk . Our global and connected communities can help today by coming together and showing solidarity. Firstly and most importantly, we’re looking to fund raise for a group of charities on the ground. “A further aim is to stimulate a debate between you and the speakers perhaps generating life-changing ideas and solutions which could address the long lasting social and geopolitical consequences. Viewers of the telethon can donate directly to UNICEF, Oxfam, Virgin Unite and more. The event starts at 4pm GMT, which means it is running right now. Click here to have a look and help Pakistan.